My husband's and my daily schedules are constantly changing. Frankly, it's complete chaos sometimes, so I can't plan to have elaborate dinners on the table at six o'clock every day. And by the time we actually get to eating in the evening, we've become so hungry that our moods have taken a nosedive. Luckily, I have a handful of go-to recipes I can make in under 15 minutes. And no, they don't involve just taking a box out of the freezer and popping its contents in the microwave—they're snacks and quick meals worth remembering. So when you need good food fast, refer to this list for recipes and inspiration. Your hunger will be satisfied, and peace and harmony will return to your household. Breakfast is the most important meal of the day, but it's easy to run out the door without it when you're pressed for time. Fuel up with oats, nuts, and assorted dried fruit with easy homemade granola. This stovetop method for making granola gives you a morning meal in just five minutes. Now that's fast! Enjoy it alone or sprinkle it over your favorite yogurt. 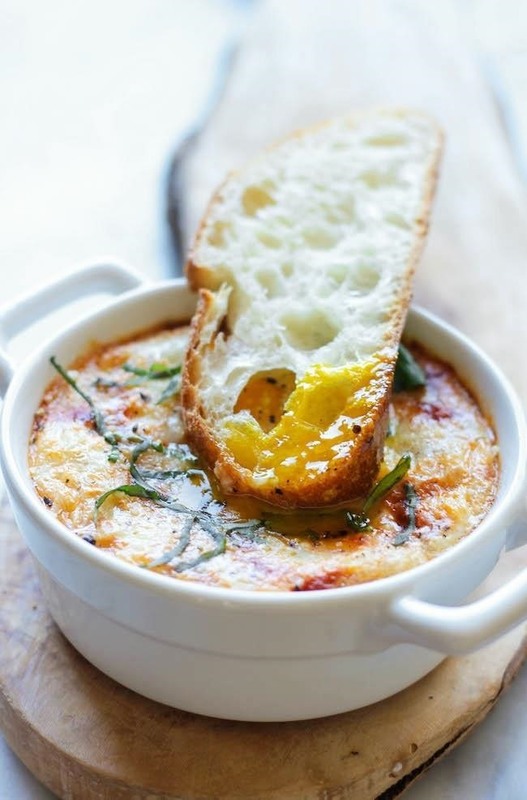 Whip up some Italian baked eggs loaded with cheesy goodness, tomato sauce, and eggs topped with fresh basil. Serve them with a crunchy piece of bread for a quick, hearty breakfast. Individual servings make this easy to prepare for any number of people. 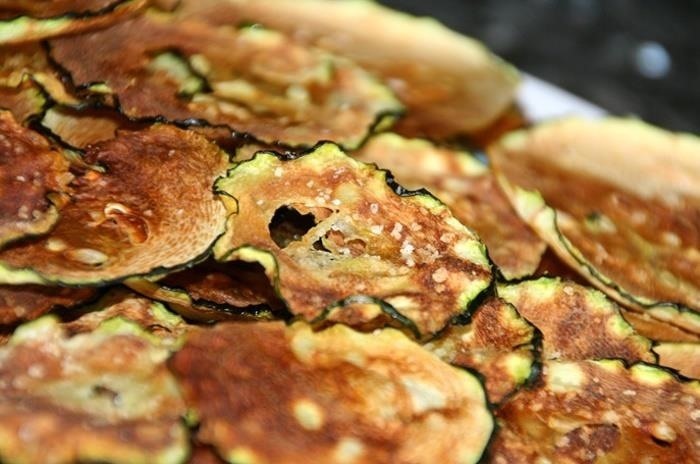 When you need a quick and healthy snack for a house full of hungry kids (or adults), microwave some crispy zucchini chips. It takes just about six minutes to make these tasty bites, and they're a lot better for you than plain ol' potato chips. 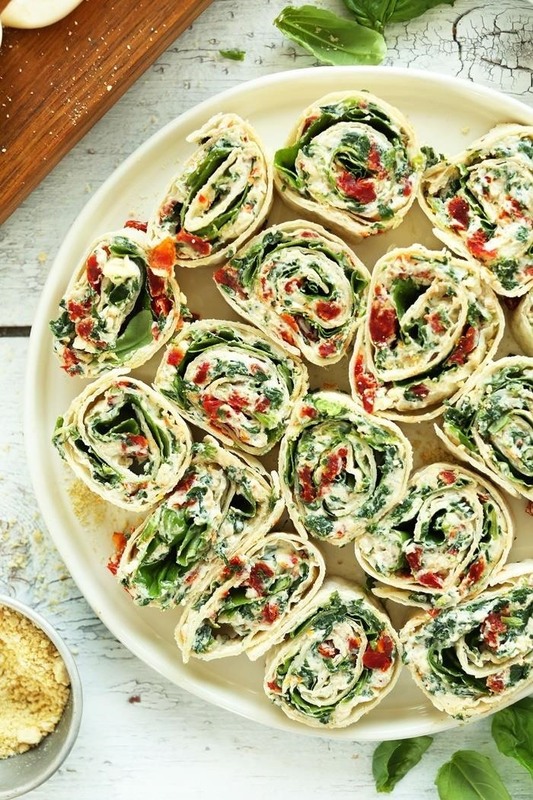 Sun-dried tomato basil pinwheels may look complicated, but Dana from Minimalist Baker promises this eight-ingredient recipe is simple and fast. Serve it as an appetizer or as part of a lunch with a fruit salad. 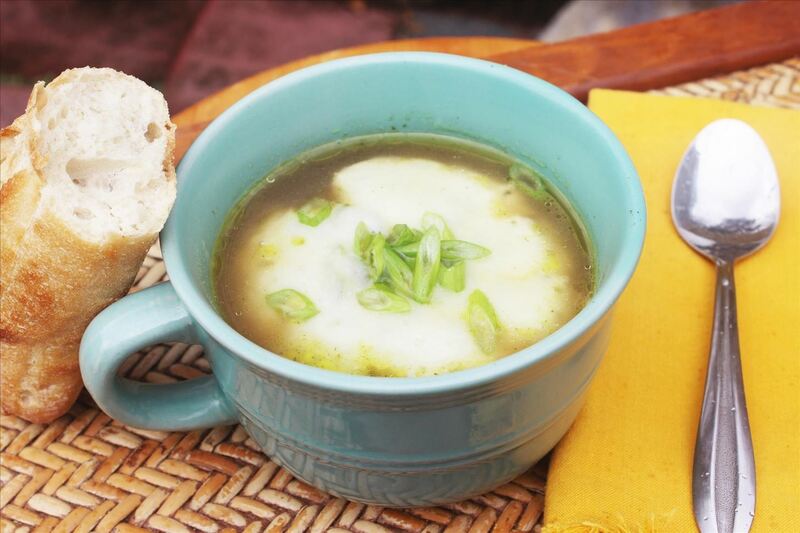 Did you know you can easily make French onion soup in your microwave? This fuss-free recipe is perfect for a speedy lunch that sounds fancy but is simply delicious. Add in a chewy baguette for a complete meal. Both kids and adults will love the Frito pie—and no bowl or plate is required, so clean up is as quick as prep. 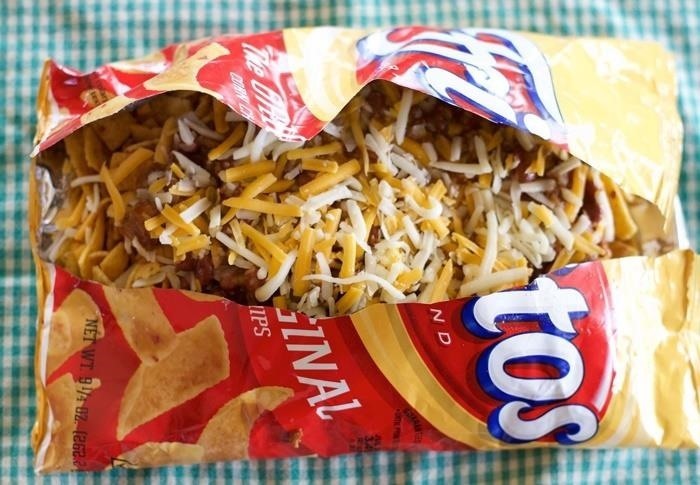 The concept is simple: just add chili and grated cheese to the center of an open bag of Fritos for a portable meal. Fair food at home for a fast filler-upper! If heating up a skillet seems like too much work, you need to make lazy toaster grilled cheese. 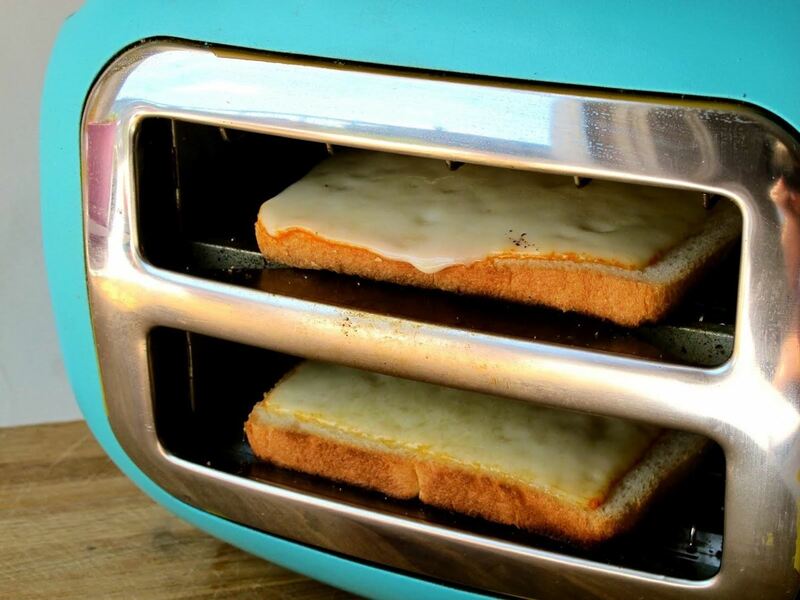 That's right, you can make this tasty sandwich in minutes using a toaster. And since you don't have to turn on the stove, it's a perfect solution to cooking on those sweltering summer days. Flatbreads are great lunch or dinner options: you just put toppings on a bread-like base and you've got a meal in minutes. 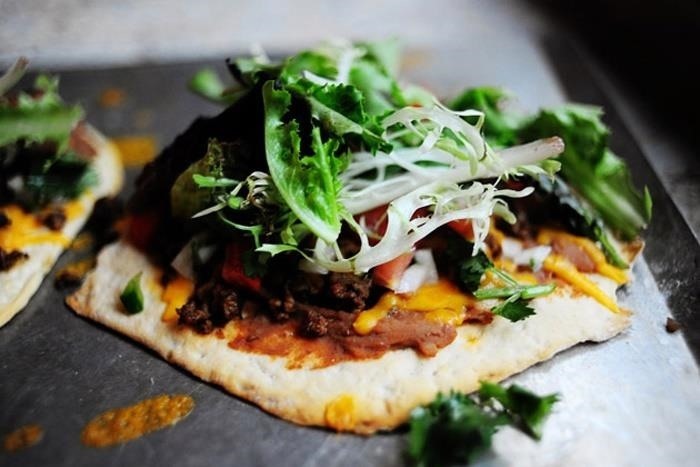 Ree from The Pioneer Woman has a Mexican "flatbread" pizza recipe that uses canned biscuit dough and leftovers to create a minimal-effort meal that looks and tastes gourmet. 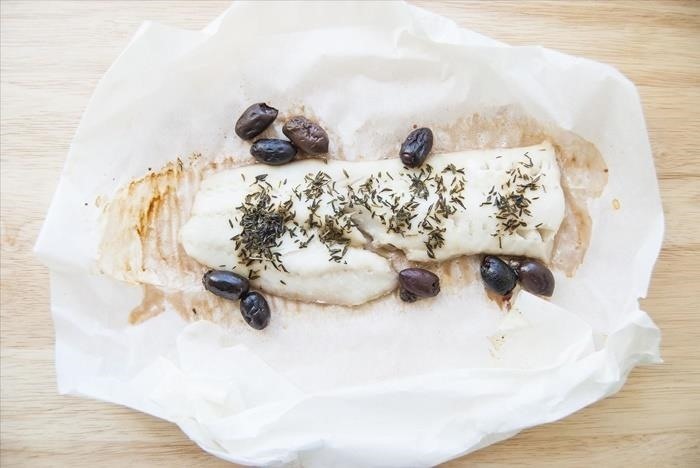 Make a delicious meal in parchment paper; just add your favorite fish, some lemon juice, fresh herbs, and vegetables to one packet and create an instant hit. I agree with Julia from Food Hacks Daily—"cooking in parchment paper is easier and tastier than you think." A package of ramen can become the perfect blank canvas for an Italian pasta dish. 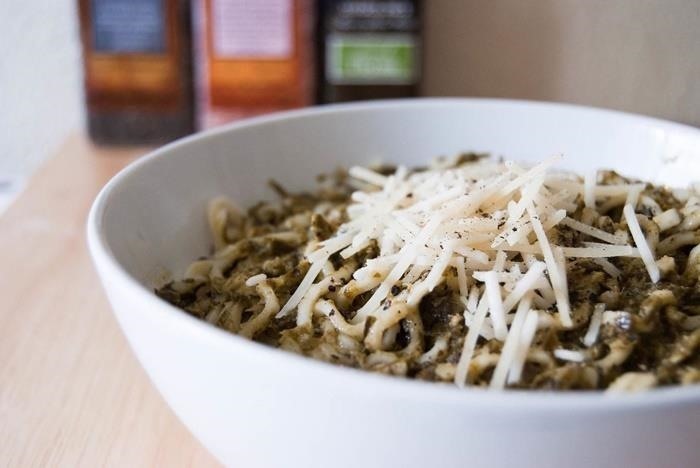 Discard the seasoning packets and add cheese, oil, seasonings, and sauce for an instant dinner that promises to tantalize your taste buds. Don't Miss: We Feasted Like Kings on... Instant Ramen? 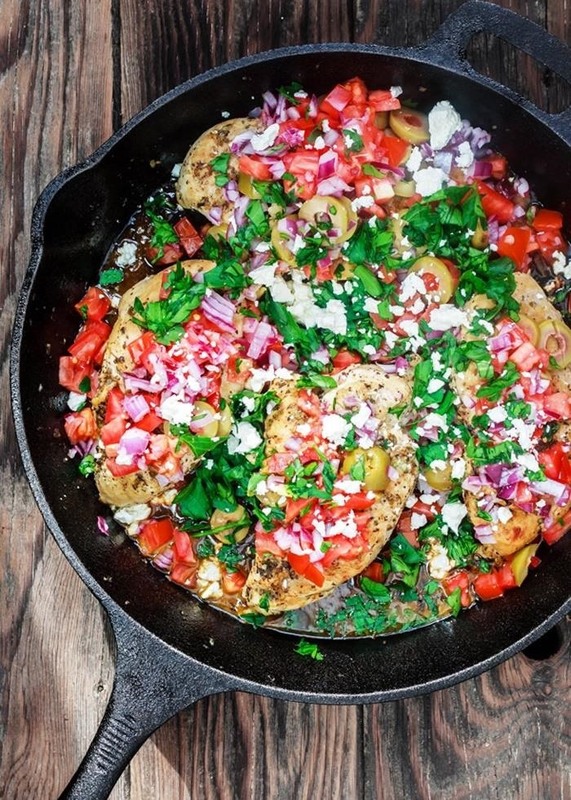 Suzy's Mediterranean skillet is loaded with protein and vegetables. Fast doesn't have to mean unhealthy, and that is what I really love about this meal. Plus, since we eat first with our eyes, the fact that this dish is so colorful only makes it more mouthwatering. Are the kids home from school already? 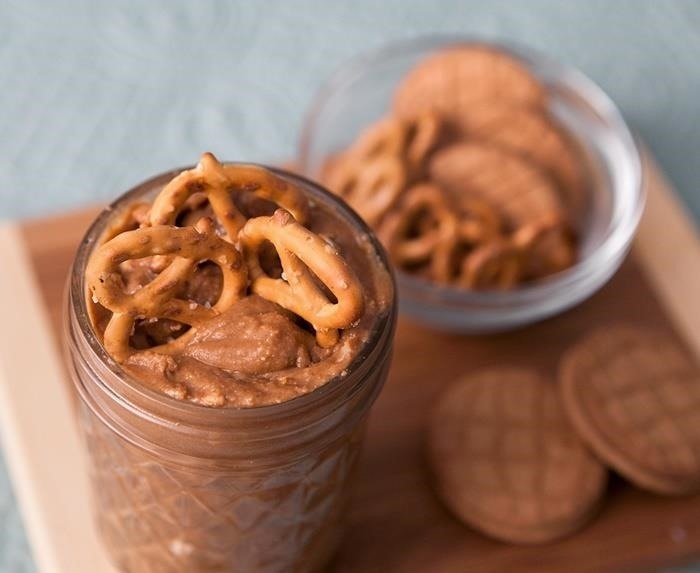 Make a batch of cookie butter and serve it with pretzels or fruit when your offspring spring through the door after a long day. You'll be satisfying that "need it now" hunger and help them get a burst of energy to get down to their homework. This sweet treat also makes an excellent dessert! 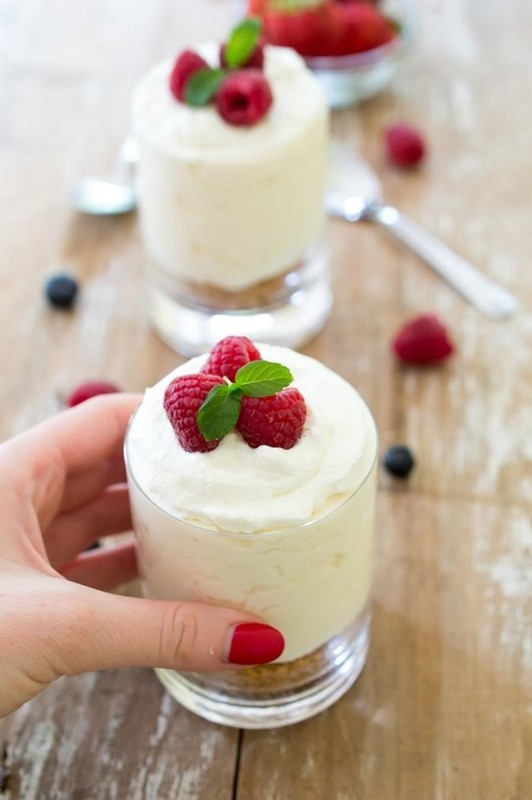 Individual no-bake cheesecakes topped with seasonal fresh fruit take the stress out of making cheesecake. Kelley's recipe is so simple that it's hard to mess up, so even if you're a novice dessert-maker, you got this. I could eat meringues all day, every day. Light, sweet, crunchy... they're the perfect light finish to a meal. But I've never tried to make them at home because it seemed too intimidating. 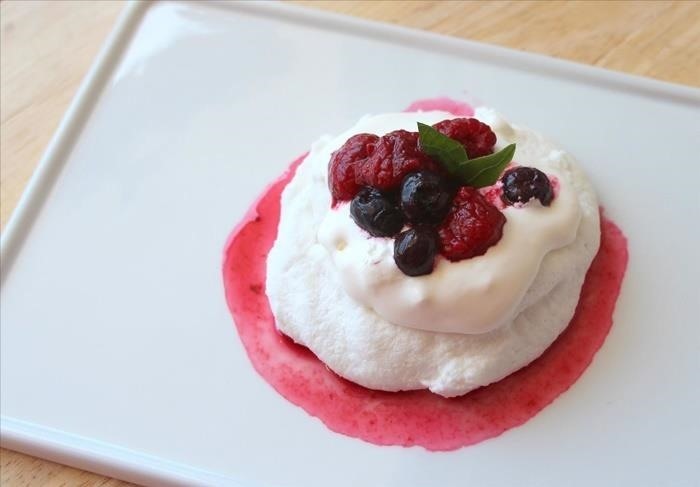 The idea of making this "complicated dessert" in a hurry seems impossible until you read Naomi's microwave meringue recipe and tips. These babies only take three minutes and you're done. Instant sweet tooth satisfaction! For an easy microwaved dessert in minutes, you need to make Rice Krispies treats. The homemade version of this classic treat will be a hit, and it's not loaded with preservatives like the store-bought ones. The next time that hungry feeling strikes you or your family, reference this list and get cooking! Don't make everyone wait and risk a family war when you can have a meal (or snack) on the table in less than 15 minutes!